Want To Control Problem Sweat? The first treatment that you are likely to try when it comes to excessive sweating or hyperhidrosis is a stronger antiperspirant. This usually contains between 5% and 20% aluminium chloride and works by plugging up the pores where the sweat emerges onto the skin. The antiperspirant must be frequently reapplied to be effective and some people find that they have a negative reaction, causing the skin to become irritated. 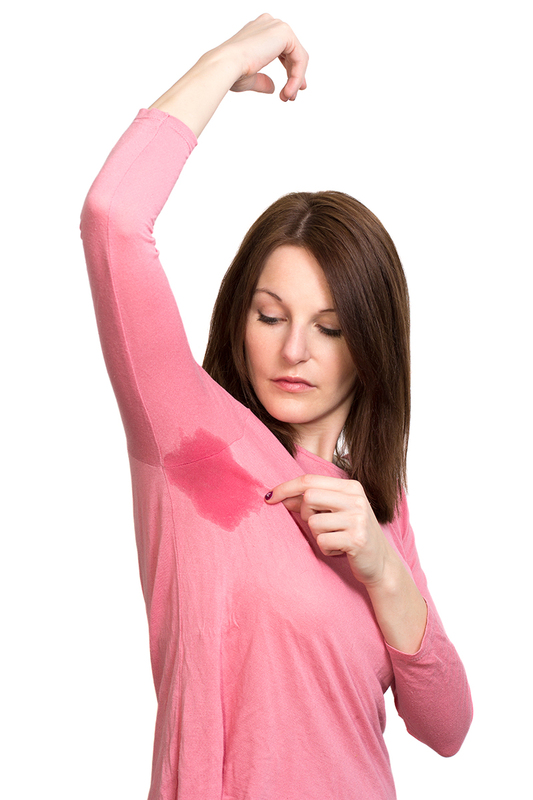 However, many hyperhidrosis sufferers find that they can manage their excessive sweating using this treatment. If you find that prescription antiperspirants don’t work or cause irritation, you might like to learn about further treatment options. You might find it useful to compare your annual spend on antiperspirants with other options. Click here to use our sweat cost calculator. For more information or to book your free consultation, please contact your nearest clinic by clicking here.